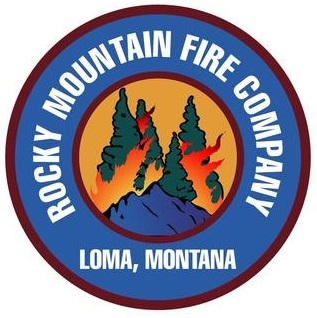 RMFC is recruiting for a few firefighters to fill positions on our engines and crew. We give preference to our returning persons. We drug test and background check employess annually. And of course, Employees must meet NRCG 310-1 standards for their position. So, any guesses on the 2018 season? last year was a hum-dinger. RMFC started July 5 and finished December 24, 2017. There appears to be a new seasonal envelope developing throughout the West. Of course El Nino and La Nina play major rolls as well as the Arctic Oscillation play major rolls. Spring through summer precipitation, the Pacific High and Dry Cold Fronts count strong. Where are we? Current snow pack in northern Rockies is above average for this date (same as 2017). The snow pack is substantially below normal central California south, Nevada, Wyoming, Utah, Arizona, New Mexico and Colorado. La Nina is in place. It is expected to turn neutral this spring. Will we repeat the last 2 years lightning (none) in the Northern Rockies? will we have a cutoff low develop from the July Monsoon in the southwest over eastern Colorado? no monsoon = 600 fires in Northern Rockies with dry heat like 2017. With monsoon =1200 – 1800 lightning fires. Southwest will be on tape May 1-15. Colorado Front will be active may 1-5, Eastern Montana will be fire ready July 4. Western Montana July 25 – August 1. Am I right? don’t know but we will be ready to engage May 1.